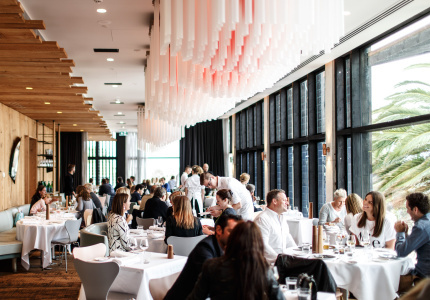 Every mum is different, so there's no ideal restaurant to celebrate Mother’s Day. That said, there are a few traits worth seeking out when it comes time to reserve a table. And given this year's falls on Sunday May 13, that time is fast approaching. 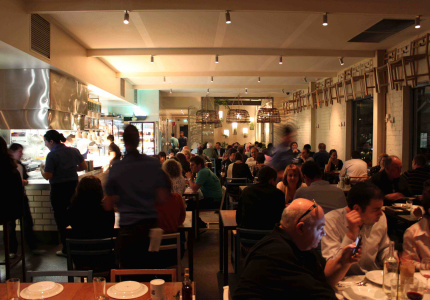 Where possible, the restaurant should be on the quieter end of the spectrum. 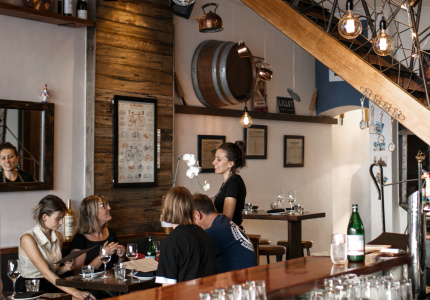 And service should be attentive and considerate – because no one's ever felt special waiting for their next drink. 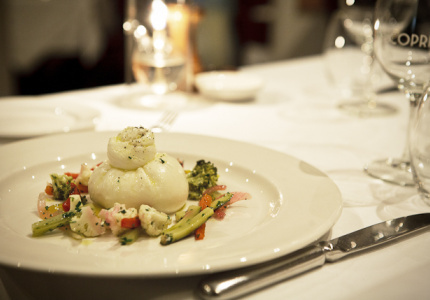 A classic cuisine such as French is often a safe bet and a touch of sophistication goes a long way. We've assembled our list with all this in mind. 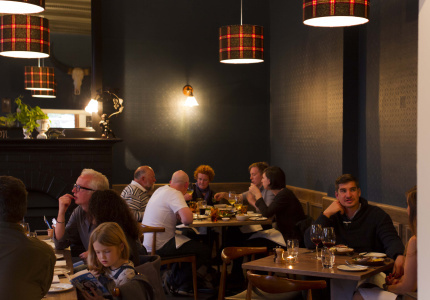 Stick to the top dozen restaurants if you're keen to splash out and really make your mum's day. Look further down if your family is more relaxed when it comes to celebrating Mother's Day. 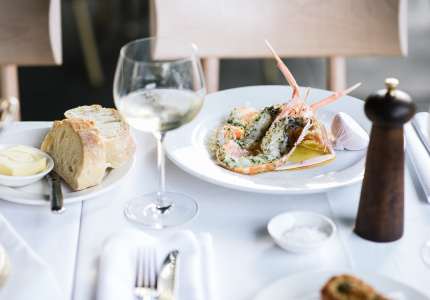 Mother's Day is always on a Sunday – just like Cutler & Co's $85 set menu lunch. Stuck for conversation? Just look out of the windows, and let the sweeping ocean views do the talking. 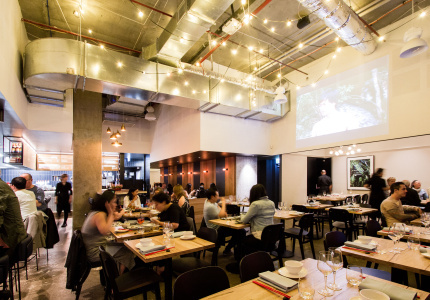 Ideal for large groups: Cantonese Mother's Day is an extended family affair. A sure-fire winner for special occasions. 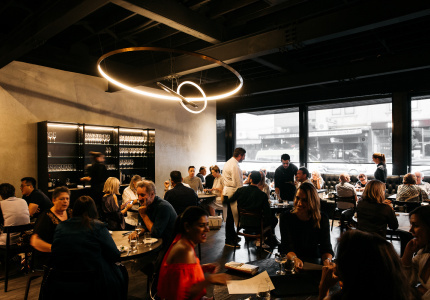 The Lucas Group's most ambitious venue is also its quietest, making it the ideal space for an extended lunch or dinner with mum. 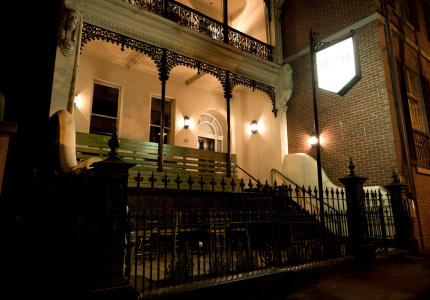 The legendary hospitality here will make the whole family feel looked after. 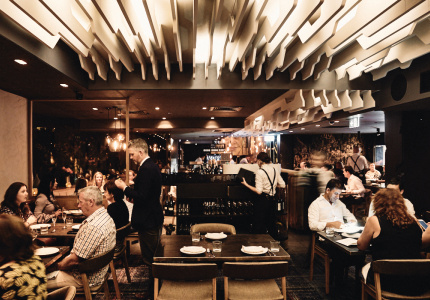 Ronnie Di Stasio's patented brand of theatrical yet intimate hospitality lends itself well to a Mother's Day meal. 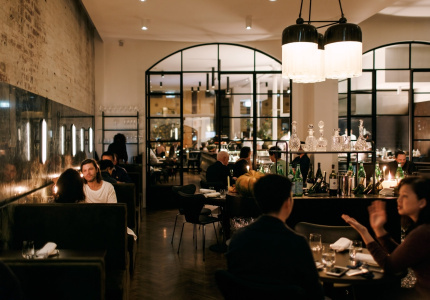 Grossi Florentino is still the standard-bearer for special occasion dining in Melbourne. 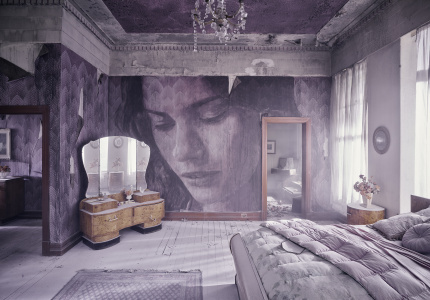 Ask for a table in the mural room. 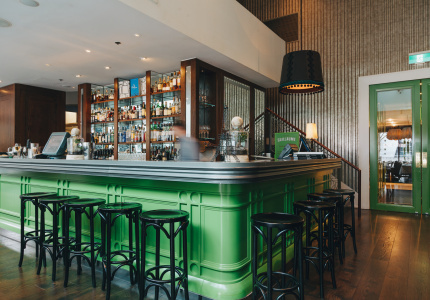 A laid-back neighbourhood bistro, for a more low-key Mother's Day. 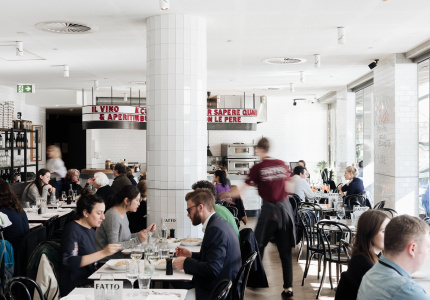 Set menu or a la carte, this two-storey restaurant in the legal district will have something for mum. 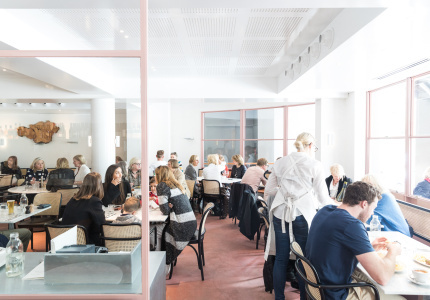 Is your mum an adventurous eater? 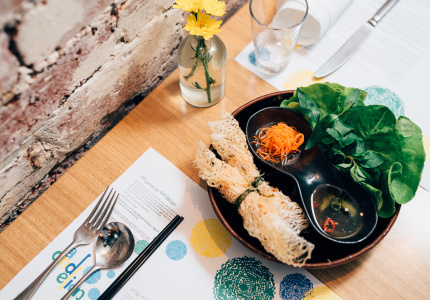 Take her here for vegemite tempura and other clever Vietnamese-Australian fusion dishes. 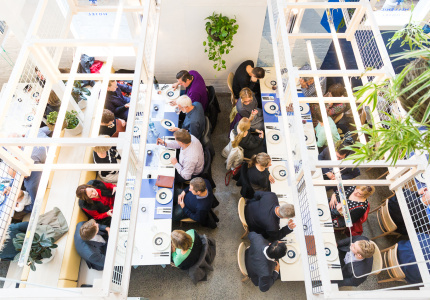 This temple to seafood can seat up to 300 people, but never feels too busy – even at capacity. 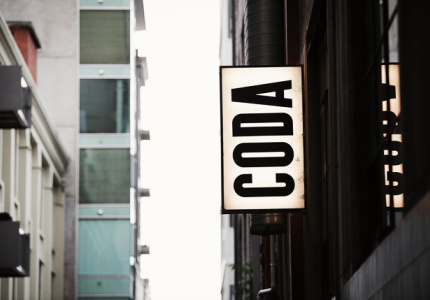 You can't go wrong with this Flinders Lane staple. 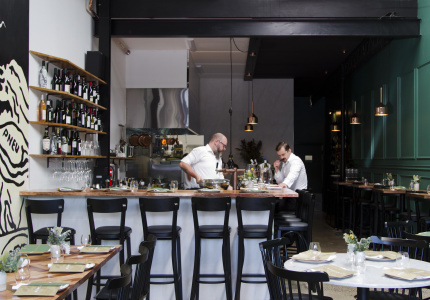 Epocha's sister-venue is an ode to Cretan cuisine. 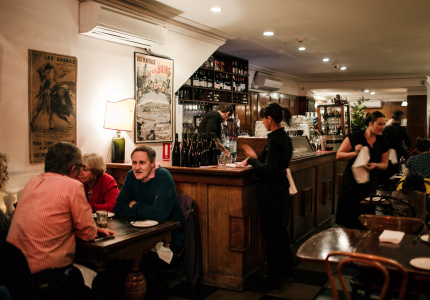 Book a table in the bistro area for a French perspective on Aussie pub dining. 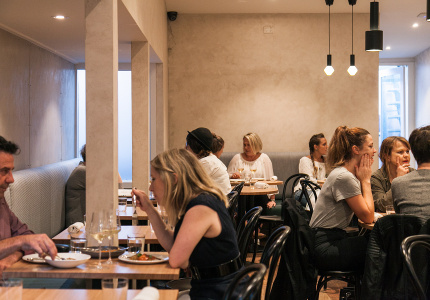 If mum loves her greens, the veg-heavy menu at Etta won't disappoint. 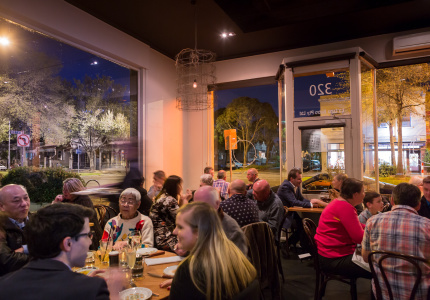 A solid Italian dining-experience that stands out, even in Carlton. 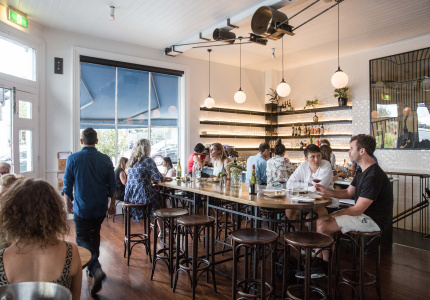 If you get a warm day, chance the front-porch seating for an alfresco Mother's Day. 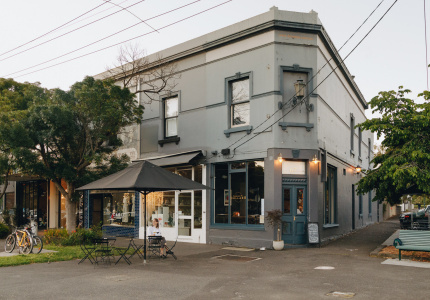 A charming all-day diner at an unassuming intersection. 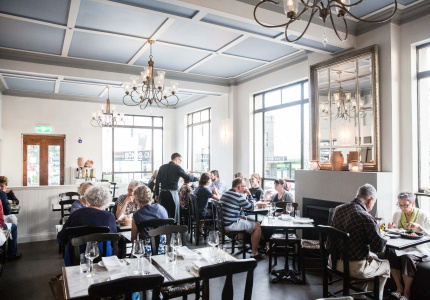 Crown's marquee French restaurant is a safe bet for a good Mother's Day. 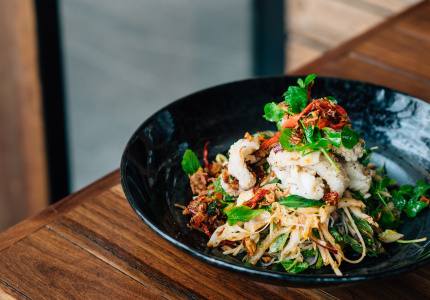 A good option for a more casual (but exciting) meal. Although it's hot property, mum will be impressed if you can wrangle a table with a view. 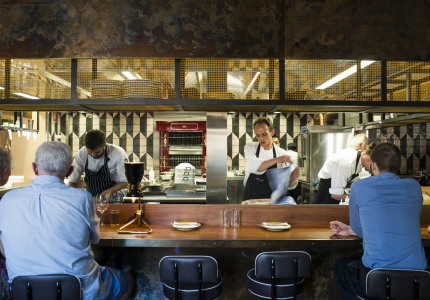 Degustations are the main offering at Shane Delia's Maha, so come with a big appetite. This will be Añada's eleventh Mother's Day service. 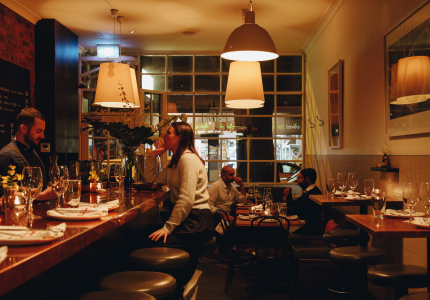 The Gertrude Street tapas classic has the day down pat. 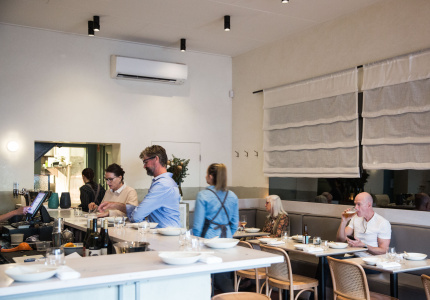 If mum loves a share-plate, this is the Andrew McConnell restaurant to book. 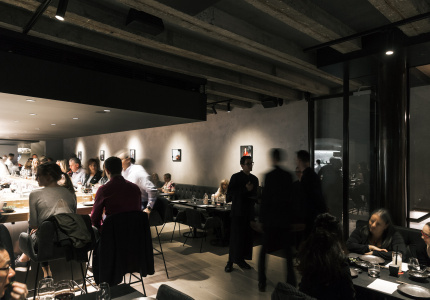 For a more casual alternative, head to the wine bar above. 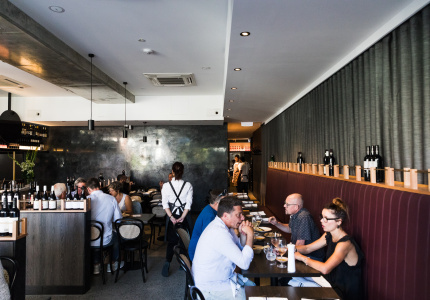 Cutler & Co's sibling and neighbour, wine bar Marion, is a veritable dining destination in its own right. 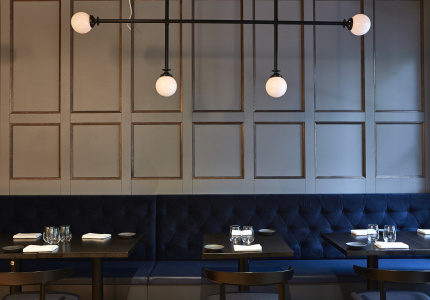 The relaxed decor belies Copper Pot's serious fine-dining chops. The steak here is house-aged. 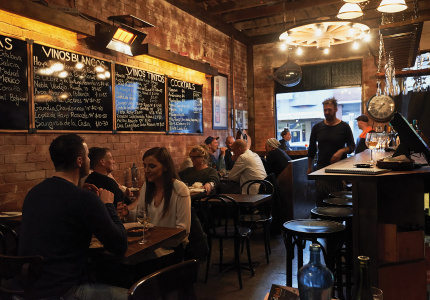 A quiet refuge from the Bourke Street bustle. 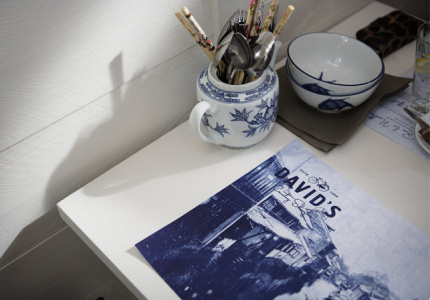 David's is a confident, comfortable proponent of Shanghainese cuisine. 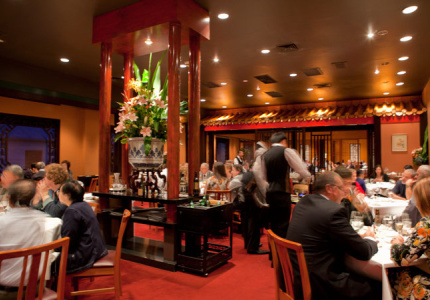 This lively Vietnamese restaurant is perfect for a large Mother's Day group. 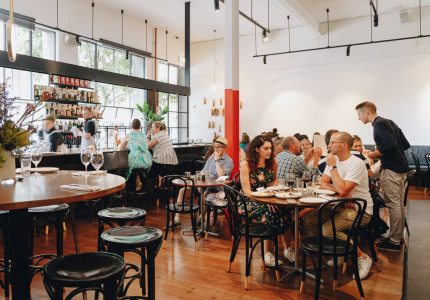 Come here after a Mother's Day walk through the Botanic Gardens. 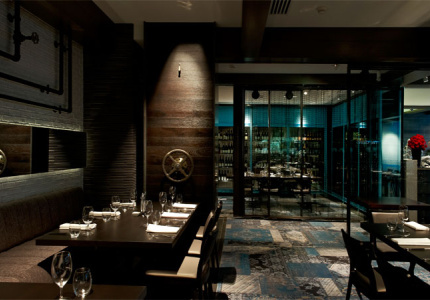 The newly reopened Carlton Wine Room has more than five levels of dining space. 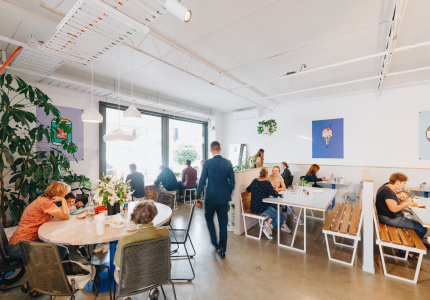 Taking mum to a show at the Arts Centre? 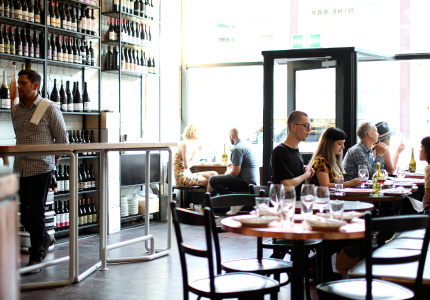 Eat at Fatto before (or afterwards). 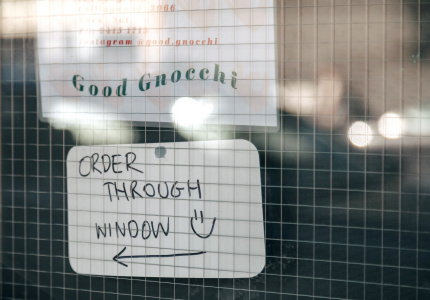 The staff are very enthusiastic about special occasions here. 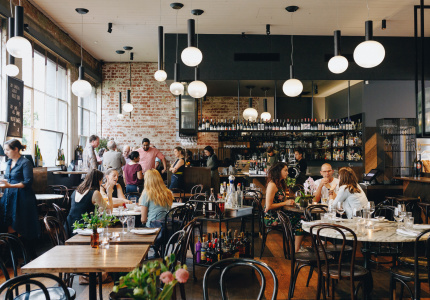 A relaxed Brunswick Street bistro. 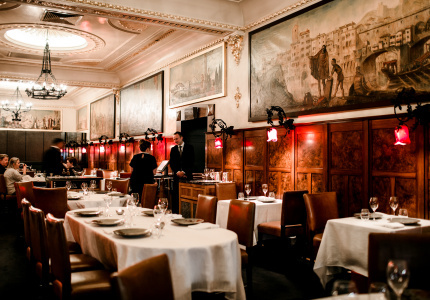 This historic pub has three different dining rooms to choose from. 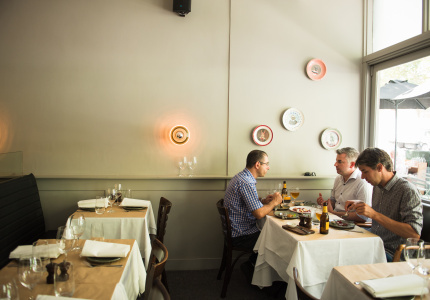 Some of the most sought after tapas south of the river. 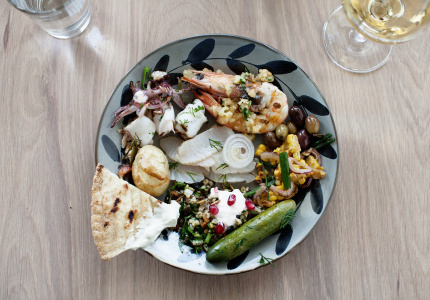 George Calombaris's Greek taverna fare is perfect for a family meal. 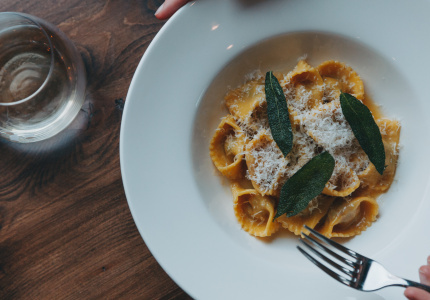 Tastes like the best family meals do – only without the cooking and cleaning up. 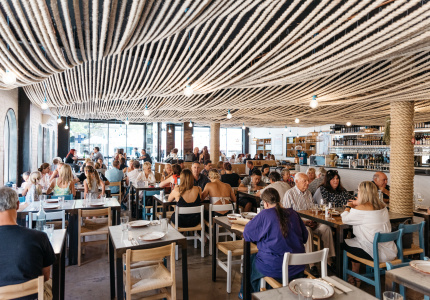 The newest Hellenic Republic has a heavier focus on vegetables than previous entries. 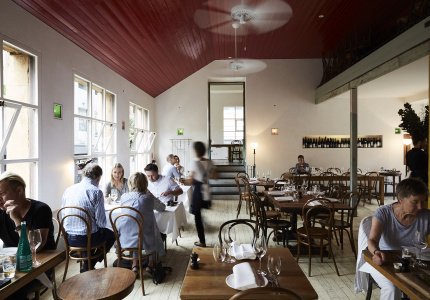 Or try Brunswick East for the original and the best.